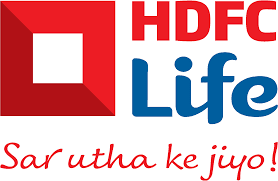 HDFC Life Walkin Interview On 3rd February 2015. HDFC Standard Life Job Openings in Chennai for Claims Assessors. Interested candidates kindly walkin on 3rd Feb, Tuesday 2015, between 11:00 AM to 2:00 PM with a copy your updated resume and ID Proof. Ensuring the validity of the intimated claim with high degree of precision and accuracy. Processing of intimations and forwarding the requirements accordingly based on validity of claim along with the condolence letter. On receipt of complete requirements analyzing and processing the claim within the agreed TAT . In case of receipt of incomplete requirements regular follow-up with claimants via reminders, telephonic talk, branch ops officers, sales force etc. within the time frame as specified in the Claims process guidelines. Seeking legal, medical under-writing and reinsurer’s opinion wherever necessary to arrive at a decision as to accept/reject the claim. Coordinating with other departments viz ; ops,actuarials,underwriting, legal etc to expedite processing of claims. Laisoning with concerned depts. for claims statistics for valuation/accounting purpose. Compliance to IRDA regulations and Insurance laws especially Policyholders Protection Act. Constant up gradation of knowledge in Insurance and legal aspects through various insurance examinations. Maintaining confidentiality of information pertaining to facts and figures of Claims function. Laisoning with other life insurance companies for mutual sharing of case specific information in consultation with Manager-Claims & subject to prior consent. HDFC Standard Life Insurance Company Ltd. is one of India’s leading private life insurance companies, which offers a range of individual and group insurance solutions. It is a joint venture between Housing Development Finance Corporation Limited (HDFC Ltd.), India’s leading housing finance institution and The Standard Life Insurance Company, a leading provider of financial services from the United Kingdom. Both the promoters are well known for their ethical dealings and financial strength and are thus committed to being a long-term player in the life insurance industry.